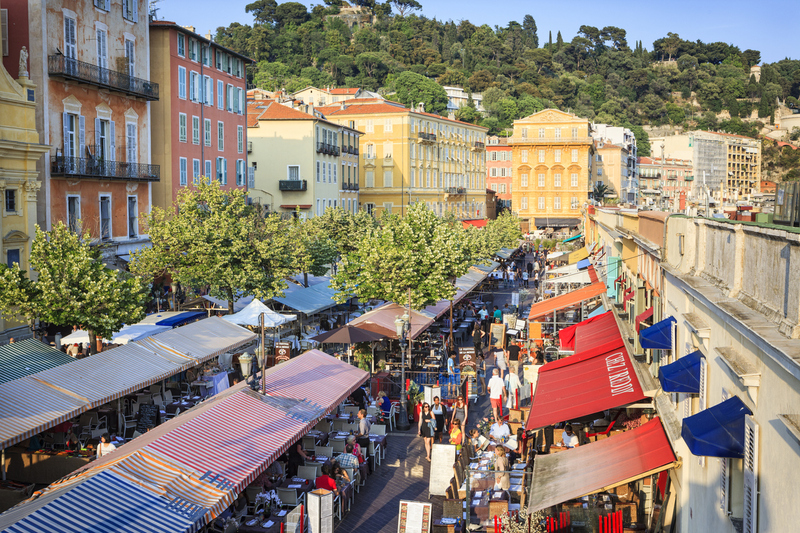 Never been to Nice on the French Riviera? This cosmopolitan city has a strong art history, opulent architecture, vibrant street life and breezy seaside location. With a sunny Mediterranean climate, even just a day here is enough to get in the holiday spirit while taking in all of the best sights and sounds. 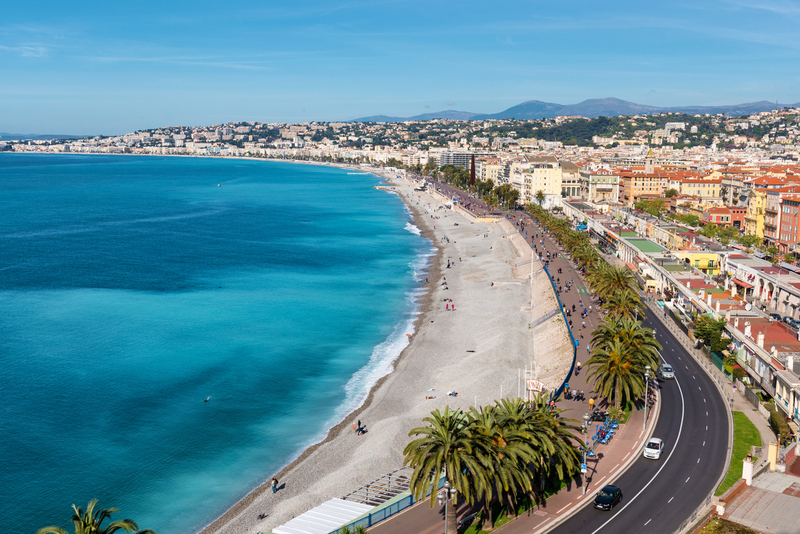 Promenade des Anglais, Nice’s most famous boulevard, is one of the first things to explore in Nice. The 6 km long boulevard is lined with palm trees with large pavements on one side and the Baie des Anges on the other. It’s packed full of bars and restaurants where you can stop by for a relaxed lunch or glass of wine. The south way is laid out with cycle paths and footpaths with plenty of the bike stands if you want to explore on two wheels. The legendary blue lounge chairs of the promenade give the perfect opportunity to soak up the view of Baie des Anges. Nearby attractions include the Phoenix Park, Museum of Asian Arts, Palais de la Mediterranee and Hotel Negresco. Musée Masséna is located at 65 rue de France/35 promenade des Anglais and gives a good idea of Nice’s history from the 19th century to the 1930s. The building is a fantastic aristocratic villa built in 1898 and set in beautiful gardens. It’s free to visit and open daily (excluding Tuesdays) from 10am to 6pm. The Russian Orthodox Cathedral of Saint Nicolas is one of the great French Riviera sites. The cathedral was built in the early 20th century by order and with the support of Tsar Nicholas II, in view of servicing the constantly growing Russian community of Nice. The ornate exterior of this onion domed building is a clear mark of the Russian architectural style, the cathedral being easily distinguishable in Nice as an atypical structure. Inside, there’s a vast collection of icons, decorative woodwork and items of huge historical value, in part moved from Russia to Nice during the troubled times of the Russian Civil War. It’s open daily from 9am – noon and from 2pm – 6pm with free entry. 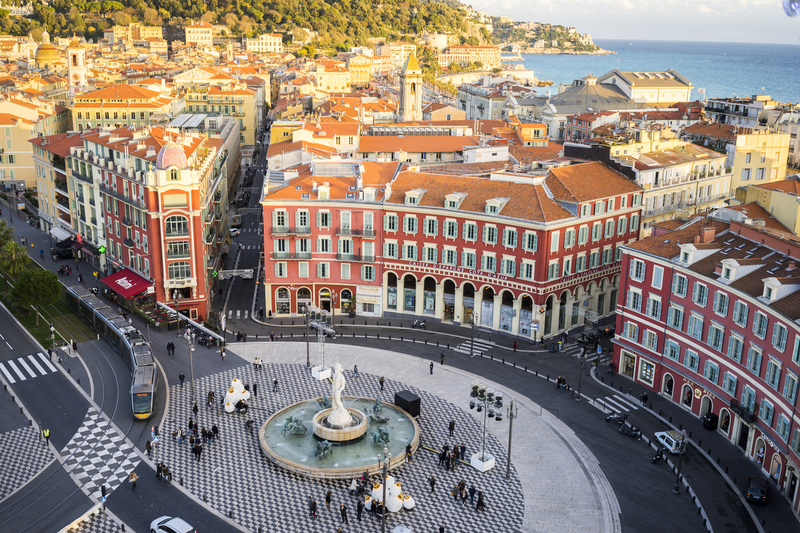 Nice’ vibrant Old Town offers narrow cobblestone streets and pretty pastel coloured buildings. The Cours Saleya flower market takes place in this area, and by night it’s a great place for evening entertainment with a huge choice of bars and restaurants. If you don’t fancy being outdoors then what better way to end your evening than with a show at the opera? The Nice Opera House oozes class and elegance, showing operas, ballets and classical concerts. If you’re feeling lucky there are two big casinos in Nice on the Promenade des Anglais; the Casino Ruhl and the Palais de la Méditerranée, a multistory luxury casino hotel complex.